The rose has always been a popular flower, as it blooms all year round and is available in many beautiful varieties. Because of this, a number of stunning roses are available to create the perfect winter bouquet or flower gift. Here, London florist Flowers24Hours takes a look at some of the gorgeous wintery roses available which are ideal for the festive season and beyond. 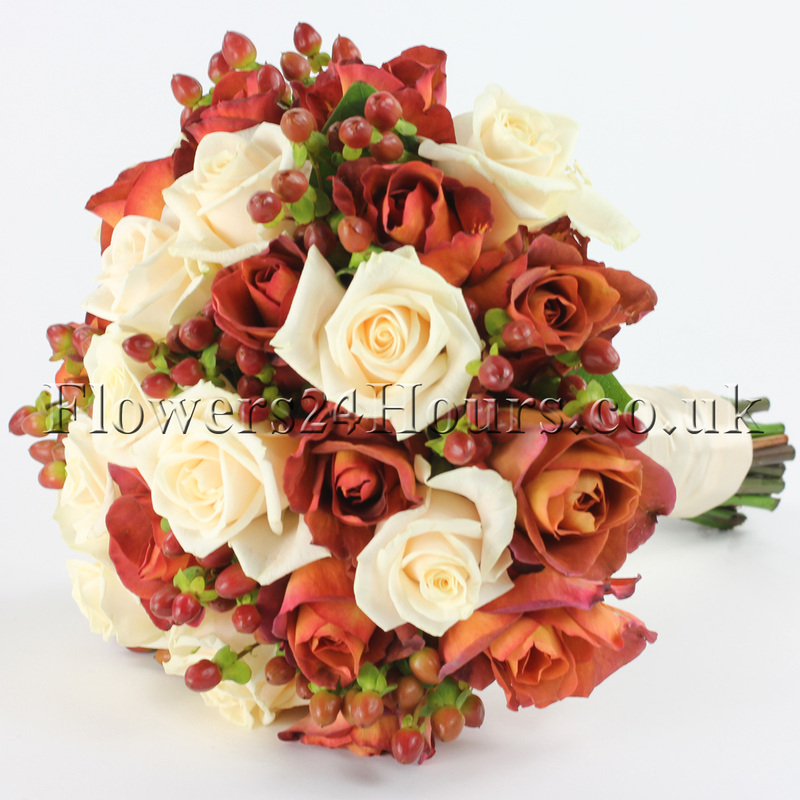 This type of rose is a gorgeous two-way coloured terracotta rose, with dark orange and light brown outer petals. It has a large head, which develops into a wonderful bloom; the gorgeous blend of colours allow the rose to turn gracefully. The use of oranges and browns give the flower a warming glow, perfect for the winter months. Take a look at them in our lovely Brandysnap bouquet, which is available for same delivery in London and next day delivery in the UK. The Mondial is a classic white rose which has remained one of the most popular blooms for wedding bouquets. And it’s easy to see why. 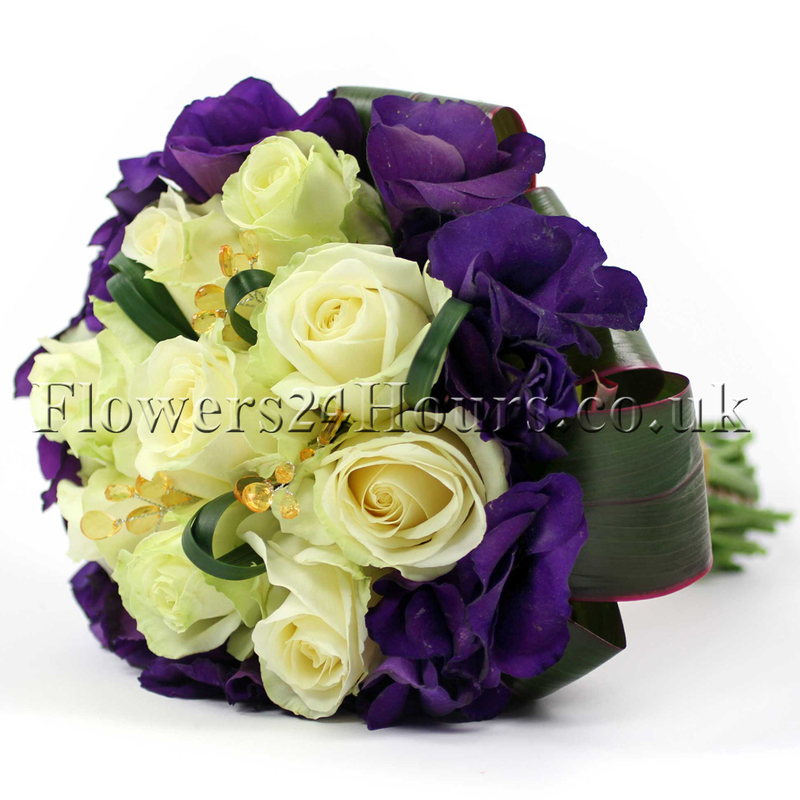 This impressive flower oozes elegance and style and can also be used for other special occasions such as christenings. The creamy colour of the Mondial symbolises purity and represents a new beginning. You could also add a frame of purple Lisianthus as seen in our beautiful Julianna bouquet, which makes a perfect Christmas gift that can be sent via online flower delivery to arrive the same or next day. This rose is made up of a unique blend of lavender, beige and green tones, creating a dusky-pink appearance. Over the last few years, the Amnesia Rose has gained in popularity since being widely featured in bridal magazines to create the ‘vintage’ look. These flowers have a strong stem and are known for having heads that are always completely open. As they are so exquisite, they are quite often presented in simple groups with only foliage to compliment them. 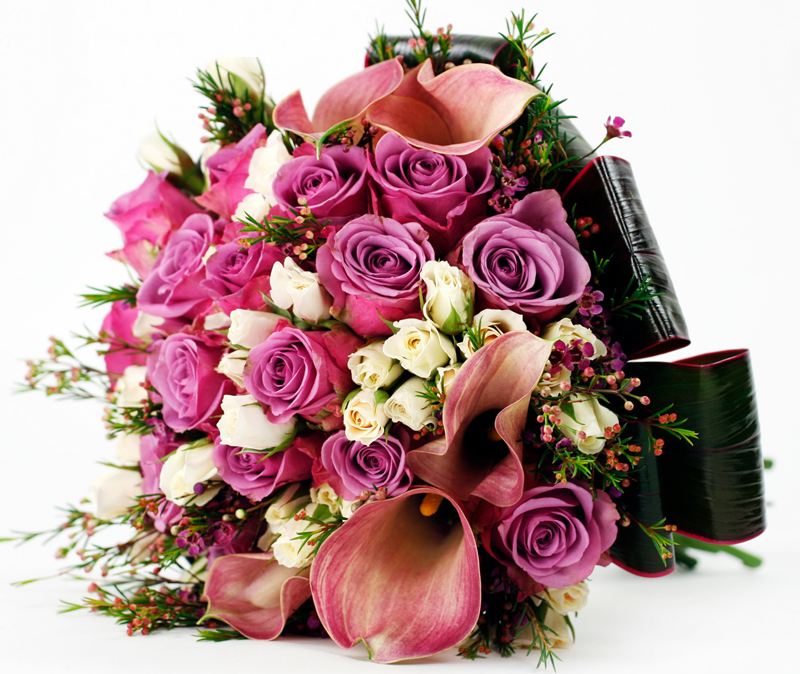 However, they work beautifully with other soft pink and white flowers to create a truly breathtaking design. The Black Magic rose is one of the deepest, darkest red roses available today. It boasts a big soft head which opens fully into a fascinating star shape. These flowers can really add some panache to any bridal bouquet or wedding flowers. Their deep red colour also makes them a perfect winter flower gift or Christmas present. 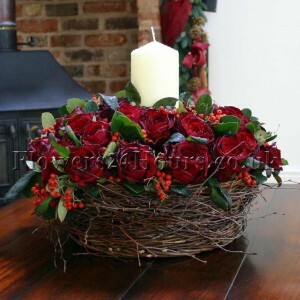 If you’re looking for Christmas flowers delivered in London, our Timeless Beauty arrangement features deep red roses and comes beautifully presented inside basket made of sticks. These pretty-looking roses have a touch of peach flowing through them, just like an exquisite aged Chablis wine. This rose benefits from super-soft petals and a creamy light pink colour which exudes romance. These beautiful flowers can add a real touch of colour to a wedding bouquet or flower arrangement gift, or can be alone solely to create a luxurious display! We love spray roses of all colours and our ‘Raspberry Roses’, a vintage country garden box wth luxury jam, makes the perfect Christmas flower gift. Flowers24Hours is a florist in London with a fantastic range of rose bouquets and gifts to suit every occasion. Roses are a great way to make a big impression and our expert floral designers have created some exceptional rose gifts. 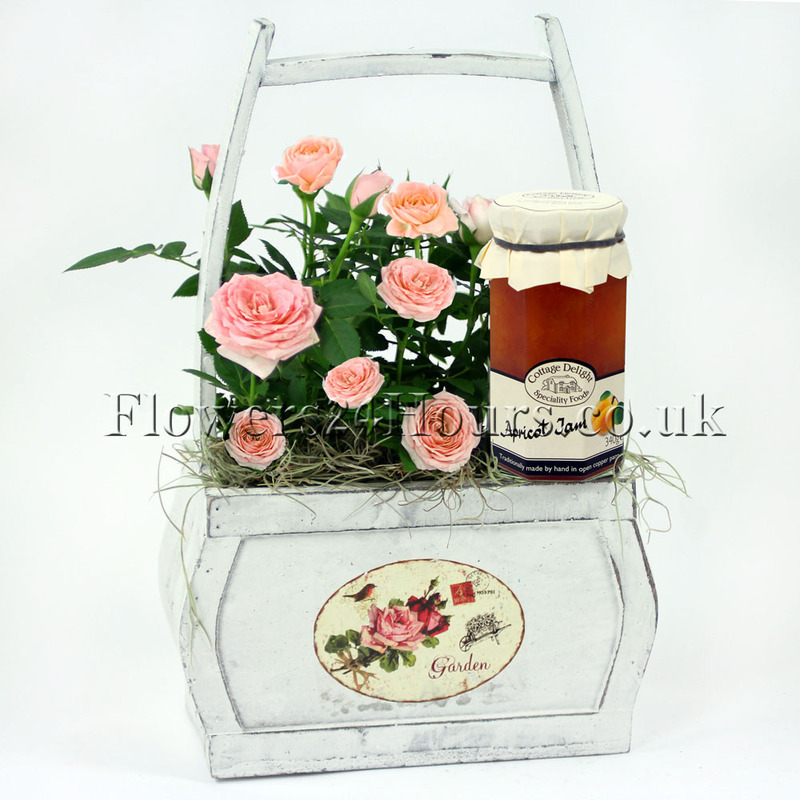 You can even send a single, boxed red roseto a loved-one and brighten up their day. For more information on our roses for same to delivery to London and next day delivery to the UK, visit www.flowers24hours.co.uk or call 0800 781 8877.